Traditional carpet cleaners use either a hot water extraction system (often wrongly called steam cleaning) which uses on a mixture of chemicals and hot water to do the cleaning or a harsh commercial dry-cleaning system. Problem #1 – steam cleaning can leave sticky chemical residues that quickly attract dust and dirt, making your ‘just cleaned’ carpets look as grubby and dirty as before the clean! Problem #2 – this old method can leave your carpets soaking wet for hours, sometimes days! Problem #3 – the chemicals used can have a strong unpleasant odour, this can leave your home smelling of chemicals. Problem #4 – the combination of water, chemicals and heat means that hot water extraction can cause your carpets to shrink. In the worst cases, this results in them pulling away from the edge of your room – ruining your carpets for good. 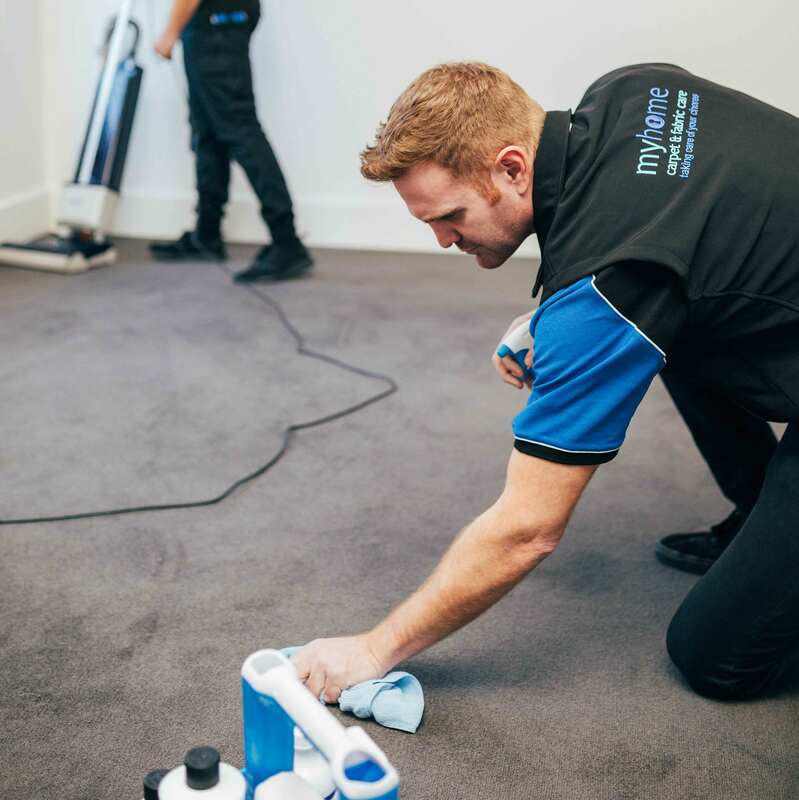 Traditional dry carpet cleaning (non-encapsulation) has been a popular choice for commercial premises, where carpets need to be in use as soon as possible after cleaning. Problem #1 – this method, while useful for commercial purposes, is not recommended for residential homes. Problem #2 – it is more of a surface clean, with limited capability for deep-down dirt removal. Problem #3 – the vigorous buffing method used can damage carpets, leaving swirl marks and fuzzy, distorted fibres. Problem #4 – harsh cleaning chemicals are left in the carpet, resulting in rapid re-soiling. Problem #5 – many carpet manufacturers warn against dry cleaning because of the risk to carpet fibres. Needless to say, we do things differently at Myhome Carpet Cleaning. Carpets are one of the trickiest areas of your home to properly clean maintain – and left untouched, they can also be one of the unhealthiest. For many people, carpet cleaning isn’t considered a priority when it comes to household cleaning and maintenance, but carpets need to be cleaned at least once a year by a qualified technician. While carpets make a home cosy, warm and comfortable, they can become a haven for air pollutants, dust, mould and dust mites. This is especially true in winter, when closed windows and doors cause dust and pollutants like VOCs (Volatile Organic Compounds – emitted from certain cleaning products) to settle. Carpets, especially where they’re a playground for toddlers and young children, can cause allergies, headaches and other health problems if not correctly cleaned and cared for. A clean, refreshed carpet means a healthier home with less to worry about. Freshy (and correctly) cleaned carpets bring back the pleasure of brand-new carpets. There’s nothing softer or more pleasant to walk on than plush, fresh fibres. A thorough professional clean can perk up even the tiredest carpets, springing up lazy fibres and removing stains. If stains are left to linger, they are more likely to become permanent fixtures in your house – ruining the look of your carpet permanently. Regular carpet cleaning prevents the build-up of dirt (brought in by muddy, dirty or grease-ridden shoes) and ‘traffic lanes’ on your carpets. Once dirt settles into a carpet, it becomes a magnet for filth – another reason to consistently maintain your carpet with regular cleaning. Carpets are traps for allergy-causing proteins, VOCs (Volatile Organic Compounds) and even dust mites, and have been linked to asthma, eczema and rhinitis. Regular cleaning is important to fight allergies and create a healthier, allergy-free environment for you and your family. If left untreated, spots and stains can become permanently ‘fused’ into your carets, and trapped dirt and grit can wear down your carpet fibres and reduce its life significantly. As with any investment, it’s important to properly maintain a carpet to keep it looking fresh and increase its longevity. Our encapsulation method of cleaning works on the level of nanotechnology – trapping and removing dirt from even the hardest-to-reach places. Encapsulation starts (after a thorough clean and spot and stain treatment) with the application of a polymer forming spray that reaches deep into the pile of your carpet to attract and capture dirt and debris. Polymers: Polymers are a very large, chain-like molecule made up of smaller molecules (monomers). Polymers can occur naturally (for example, in leather and rubber) or synthetically. They are used in the encapsulation carpet cleaning method to trap dirt by crystallisation before agitation and vacuuming. Our highly advanced and specialist carpet cleaning encapsulation spray contains both polymers and detergents. These work together to attract, capture and release dirt. When applied, and after the detergent has done its job in attracting the dirt and debris, the polymers fully encapsulate and crystallise this growing detergent-dirt mixture. This encapsulated mixture then dries almost completely allowing the dirt, debris and detergent to be captured within a crystallised ‘bubble’. This ‘bubble’ can then be safely vacuumed away, without leaving wetness or sticky chemical residue behind. Our Dry-Touch carpet cleaning system will deep clean your carpets reviving the soft look and feel of the fibres, without leaving them soaking wet, prone to shrinkage or smelling of chemicals. Dirty carpets don’t just bring down the look of a room, unclean carpets are a haven for dust, potentially harmful air pollutants and even dust mites. And trapped dirt and grit deep-down in the pile of your carpet, can actually shorten the life of your carpets. The Myhome Dry-Touch system works on the level of nanotechnology, with the polymer application targeting the finest and deepest trapped particles and securing them – along with the cleaning agent – in a molecular, bubble-like seal. This is easily vacuumed away when dry leaving you with a beautifully clean carpet. Our spot and stain pre-treatment process, treatments and equipment mean that your stubborn stains are removed from your carpets. Because we treat each spot and stain individually, we can target each one with the best and most effective treatment. In addition, if any re-appear we treat them again on the follow up inspection visit. Our encapsulation technology ensures that all chemicals and cleaning agents are completely removed from your carpets with our Dry-Touch process. This mean’s a fresher smell, a softer feel and air that’s free from harmful air pollutants and allergy-inflaming proteins. 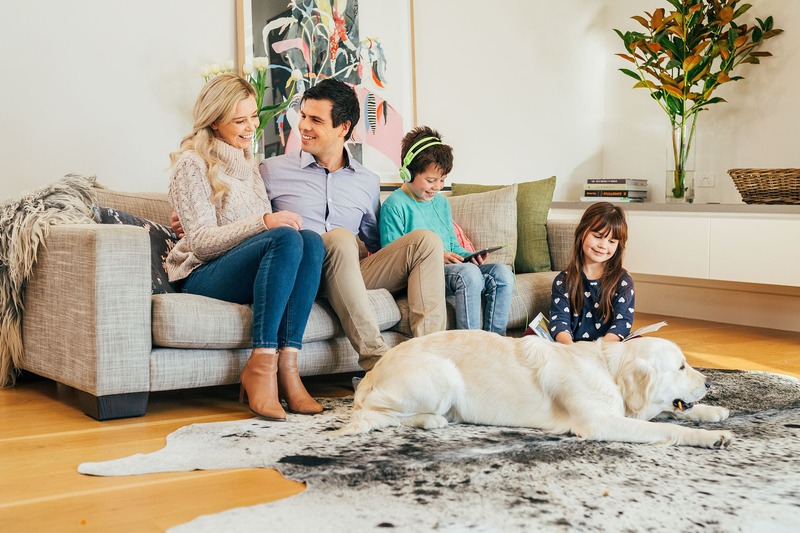 The chemicals used during Myhome Dry-Touch carpet cleaning are minimal and are far milder than the harsh acid/alkali applications used in hot-water extraction, which can also damage and discolour carpets. As only a little water is used in the Dry-Touch process your carpets are dry and ready to use within an hour or two. In addition, this reduces the risk of shrinkage, discolouration and mildew developing. Because the Myhome system using fewer chemicals and less water this means that a Dry-Touch clean is not only safer, but fresher. There’s are no strong chemical or wet dog smells left hanging in the air once the clean is done, or nasty air pollutants. The Myhome 6 Step Dry-Touch system enables a more consistent, efficient and thorough clean. 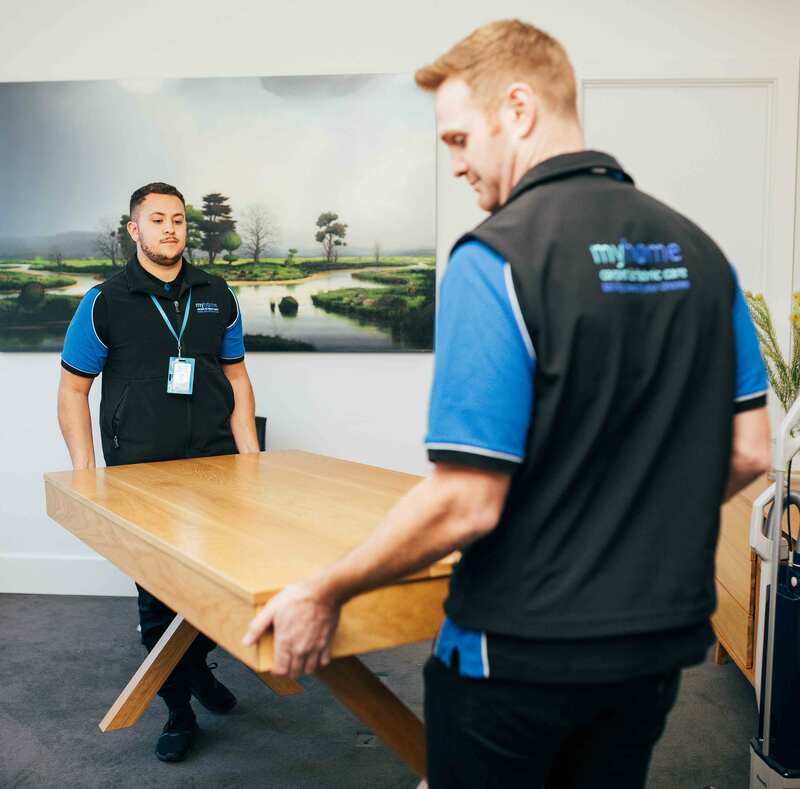 The powerful nature of encapsulation technology and the thorough approach of the 6 Step System means that cleaning your carpets isn’t dependent on the ‘elbow grease’ approach of any one person – the power is in the system. With Dry-Touch there’s no sticky residue, dirt or chemicals left behind to attract re-soiling. This means that your carpets are fresher and cleaner – and that they stay cleaner for longer. Because the 6 Step System is so good at cleaning deep-down, your carpets will last much longer. Trapped dirt and grit at the base of your carpets can grind and cut carpet fibres, shortening the life of your carpets. Experienced, dedicated and fully insured carpet technicians. 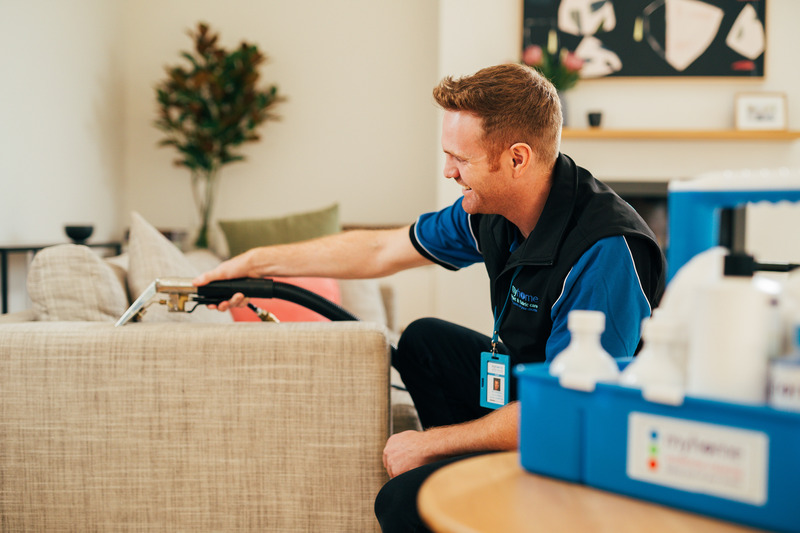 We charge by the job, not the hour – ensuring the best clean possible. The Myhome 6 Step Dry-Touch system is a quality encapsulation service exclusive to Myhome. We believe we have the finest carpet cleaning service available, and guarantee this to all our customers. The benefits of encapsulation and our 6 Step Dry-Touch system far surpass those possible with outdated carpet cleaning methods like traditional hot-water extraction and dry cleaning. 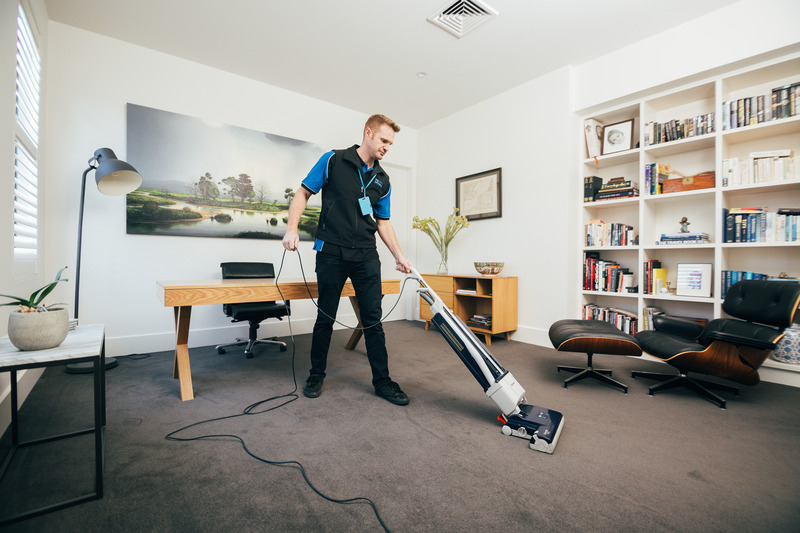 Carpet Cleaning Special Offer – 2 Rooms Cleaned for just $95! 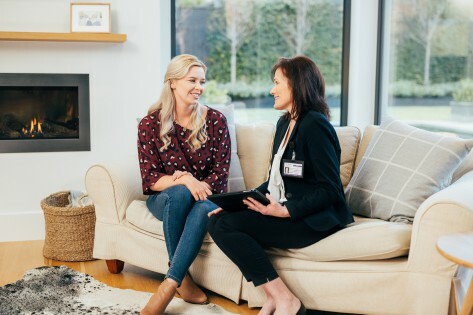 Take advantage of this special offer now to experience the power and effective of the Myhome Six Step Dry-Touch Process – 2 Rooms Cleaned for just $95! It doesn’t matter if you have furniture that needs to be moved, we do it all. But there is limited availability so call 13 22 31 now to book your carpet clean now.